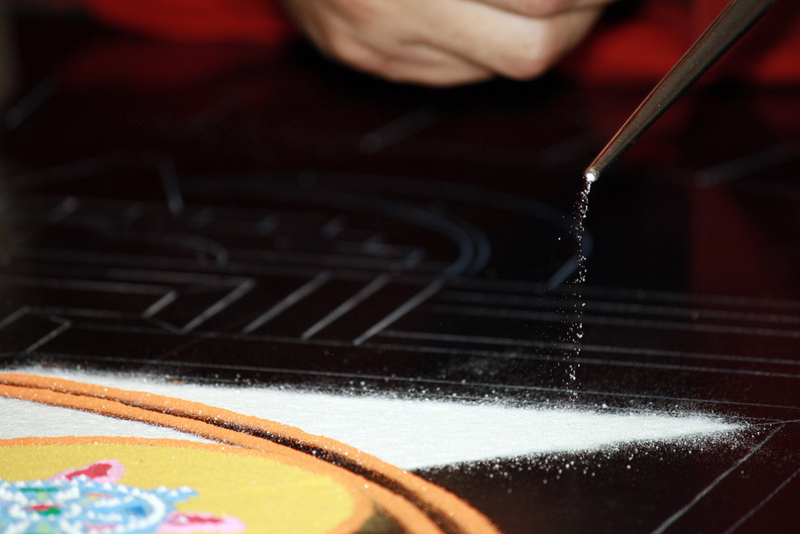 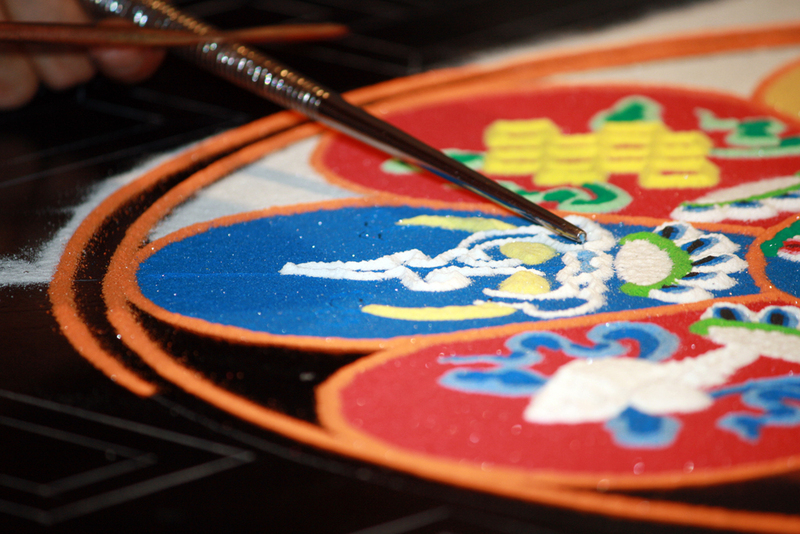 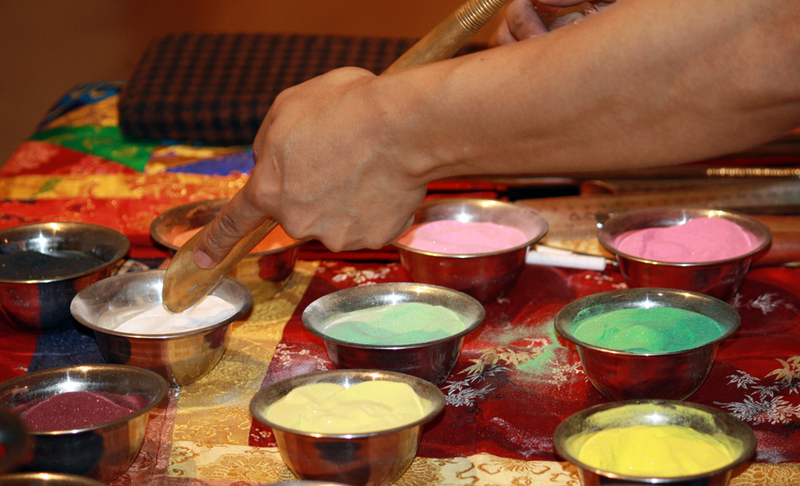 Of all the artistic traditions of Tantric Buddhism, painting with colored sand ranks as one of the most unique and exquisite. 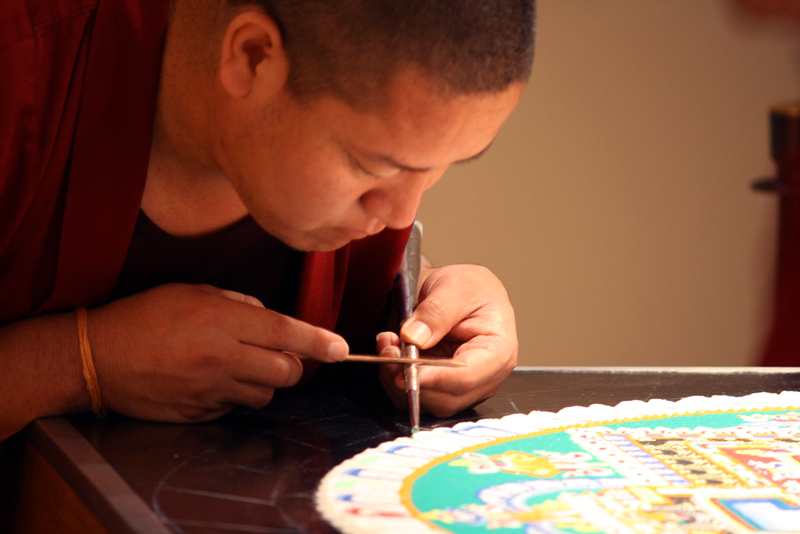 Millions of grains of sand are painstakingly laid into place on a flat platform over a period of days or weeks to form the image of a mandala. 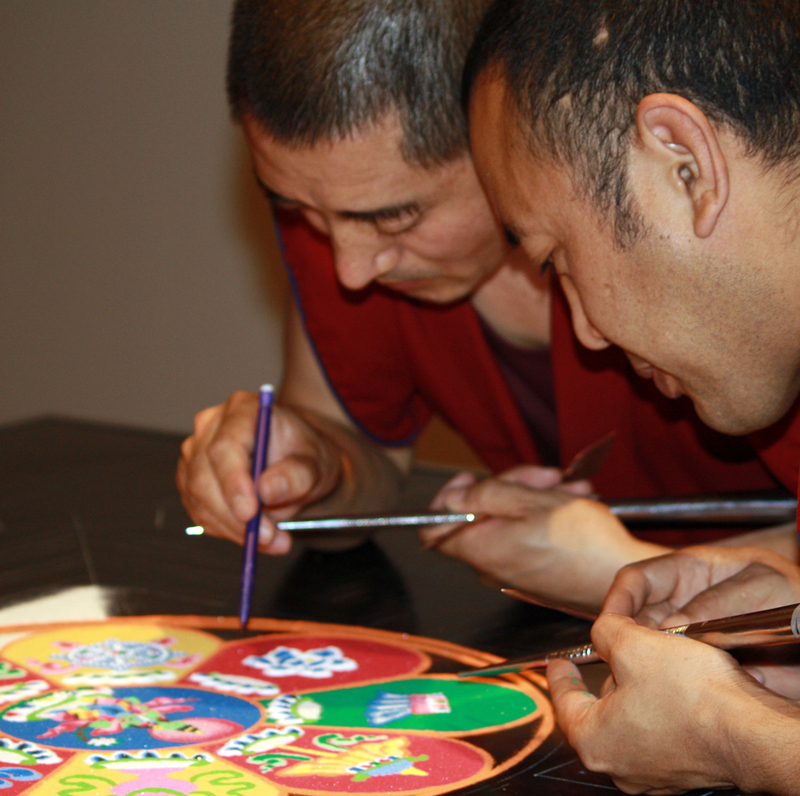 To date, the monks have created mandala sand paintings in more than 100 museums, art centers, and colleges and universities in the United States and Europe. 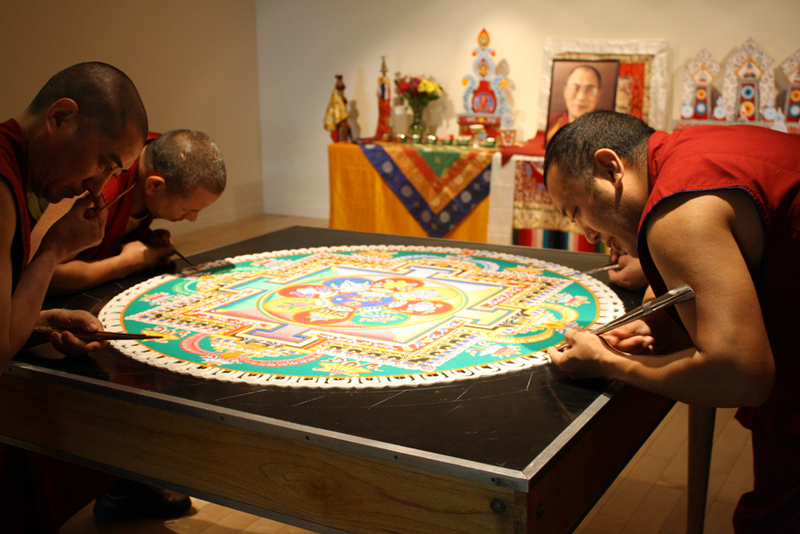 The mandala sand painting begins with an opening ceremony, during which the lamas consecrate the site and call forth the forces of goodness. 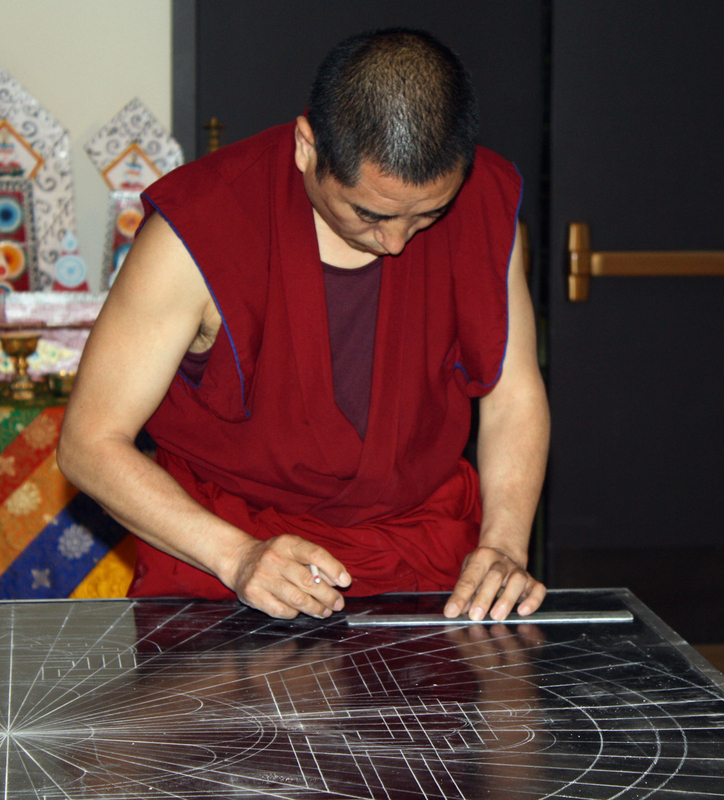 This is done by means of changing, music, and mantra recitation. 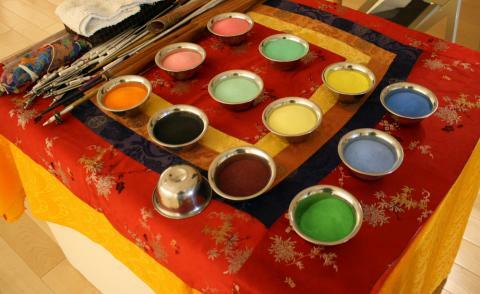 Traditionally, most sand mandalas are destroyed shortly after their completion, as a metaphor for the impermanence of life.